I agree with Jona (the host of this lovely meme); I also believe that a marriage life should be cared for by spending time together. The idea of this meme is sharing togetherness experiences. 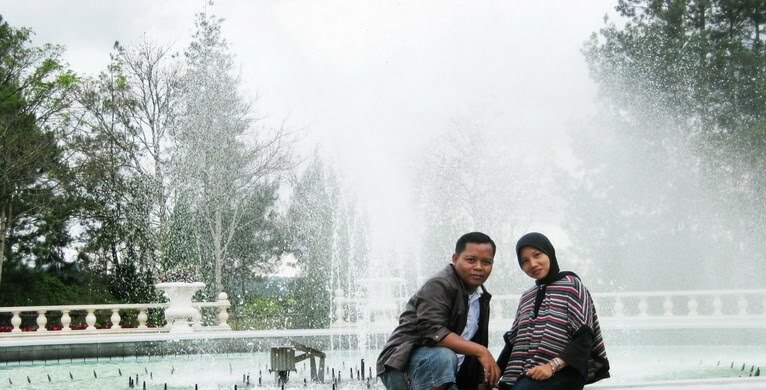 Hope it can inspire and remind all of us to always keep the closeness in our marriage. It’s not hard for us to have a date; since we still have no kid at home. 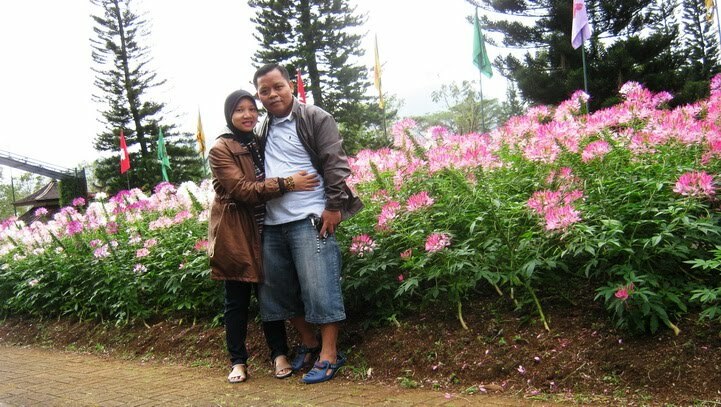 One early morning in last January, we left home to visit Nusantara Flower Park in Cipanas (West Java, Indonesia). We did it not for a special occasion; it’s just for refreshing as the place has fresh air and many lovely flowers inside. We really enjoyed our whole day there. As we wanted to take lots of pictures, we were wandering the park on foot. Our legs were tired but it’s no problem at all. We left the park in the late afternoon. A lovely day indeed! thanks for visit my blog...!!! 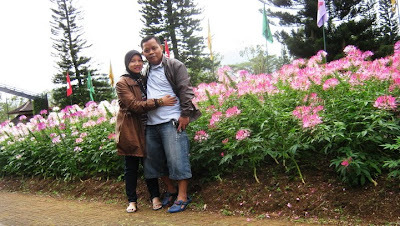 wow Lina, very lovely photos at Nusantara Park...i love those cute pink flowers. Looks like a lovely place, enjoyed your sweet photos. Wow, you look so sweet and in love! Our Sweet Saturday, come and see. very nice photo and romantic too! i guess, couples should really need to spend time together minus the kids to keep the love alive. Visiting for Sweet Saturday! that was a lovely park, made lovelier by your and your husbands's presence.. I salute this is the example of a happy family, although busy but always made ​​time for a vacation and go together. it seems a beautiful place especially with the cool air makes the mind become fresh again. Happy happy to Mbak Lina and mas Rofi. Beautiful place and love your beautiful photos.